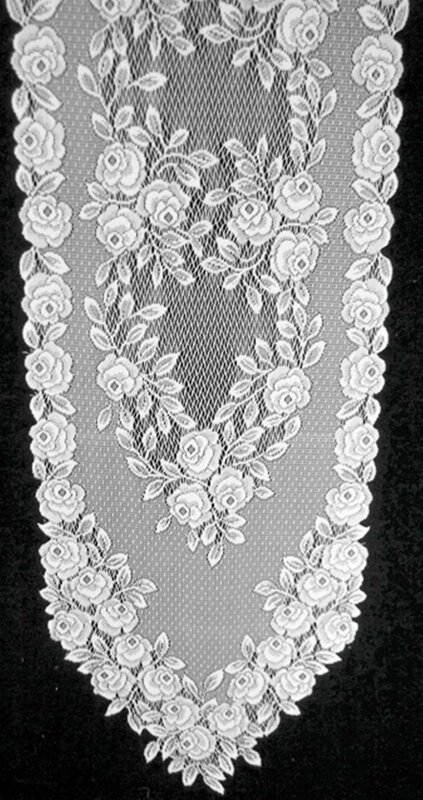 Tea Rose table runner 14x60 white is from the Heritage Lace A Day In The Country collection. Admire the artistry and experience the quality. Heritage Lace fashions each product with great care, knowing you will use and treasure your lace for a lifetime. Size: 14 inches wide x 60 inches long. Care: Machine wash cold, gentle cycle, lay or hang to dry.